A 65-episode scripted #biopic series on #Baba_Ramdev will be aired on Discovery's upcoming Hindi general entertainment channel in India. Discovery Communications on Tuesday announced its plan to roll out Discovery JEET, a new entertainment channel across India, starting at the end of 2017. The new channel will be the flagship for the network's ambitious investment into original local productions in India, superserving superfans and nurturing communities around a range of programme genres including true crime investigations, small-town heroes and gritty survival. 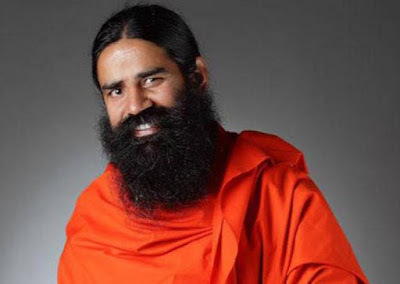 The programming line-up will include "Swami Baba Ramdev: The Untold Story", a scripted biopic series tracing Baba Ramdev's inspirational journey from a life of anonymity to national icon, international cult figure and now a business mogul. "We are excited to launch Discovery JEET, which will bring a new style of entertainment, in a truly local, bespoke, ground-up offering. It borrows the best of Discovery's ethos, seeded in fact and purpose-driven content, and leveraging global resources to mount it at a scale that delivers larger-than-life stories," Karan Bajaj, Senior Vice President and General Manager, South Asia, Discovery Networks Asia Pacific, said in a statement. Arthur Bastings, President and Managing Director, Discovery Networks Asia Pacific, further elaborated on the importance of this step. "The expansion into general entertainment with JEET redefines how Discovery will connect and interact with new young audiences across the heartlands of India. JEET is fun, relatable, and exciting and brings to life the captivating, real stories of India's own in a manner never seen before." "Saragarhi - India's Bravest Day", "Gabru: The Birth of Hip Hop" and "Gangs of Mumbai" are some of the other shows that will be aired on the channel.